The FAR (Aragonese Rugby Federation) implements the modern MATCHREADY sport management system for the 2016/2017 season. Last december, President of FAR, D. Manuel Gómez Méndez and Secretary D. Carmelo Alonso Angos, together with the manager of SEDNAMEDIA D. Ferrán Andrés closed the agreement for the implementation of the MATCHREADY application. 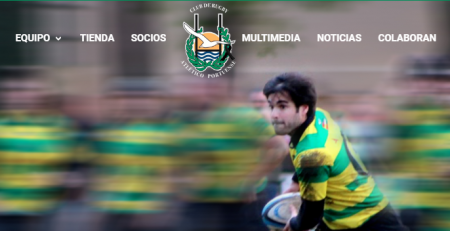 MATCHREADY, which has been in operation for almost two years in the Valencian Rugby Federation, is the flagship application of SEDNA MEDIA, a Valencian software development company, which is committed to combining sport and technology. The modernization of the federation management system will make available to all rugby fans in a single click all information regarding competition, clubs, statistics (players, referees, clubs …), fair play, minutes, penalties, results, etc., in an immediate way, since it is updated online once the meetings are finished. This agreement reflects the great work done by the Aragonese Rugby Federation to promote this sport in their community.